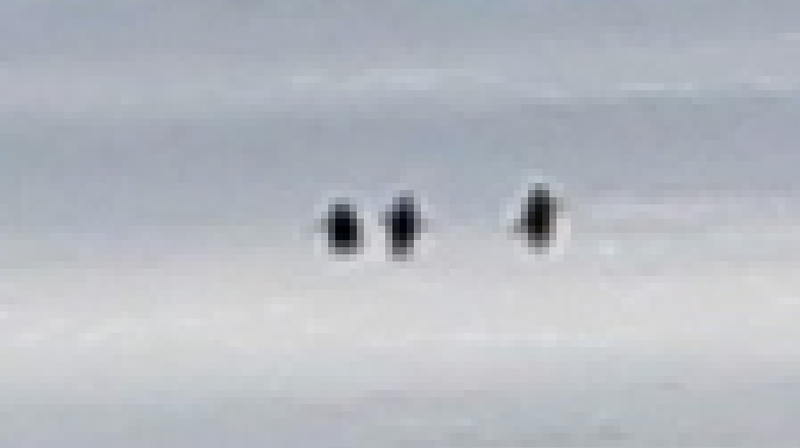 After complaining yesterday about missing out on the penguin that came into McMurdo, I was going through my photos from Thursday and found one with some weird black spots off in the distance, so I zoomed in. From what I can tell, these are penguins, but it's so pixellated it's hard to be entirely sure (we have not ruled out Bigfoot). In any case, it looks like my first penguin sighting went almost unnoticed. There are penguins in this picture. Seriously. Look how cute and pixellated they are! Friday morning I woke up to find my roommate of the last week gone, out to a field camp in the Dry Valleys nearby. I was excited until I checked my email and found out that I had a new roommate arriving this afternoon. I went for a hike in the afternoon out to Hut Point to see if the penguins I apparently saw yesterday were around (they weren't), and then went up to do the Observation Hill loop. This hike starts around the fuel sheds and goes around the perimeter of Observation Hill, making it longer but less strenuous compared to the hike up the hill itself. There were seals and lots of cracks in the ice out towards the edge of the water. Otherwise, it was a nice clear warm day. Back in town, preparations are underway for New Years, including the stage for Ice-Stock, the December 31st music festival that's held each year.